Orem, Utah, is so lovely this time of year that I decided to head west to check out Jive’s corporate headquarters there. 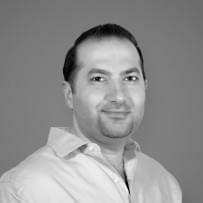 Jive, founded in 2006, built their VoIP platform in the cloud since day one, and they’ve never stopped innovating. They have partnered with the biggest names in all of communication, including Verizon Business, Polycom, and Microsoft, to deliver the best-in-class hosted solution. Jive is one of the many tech companies that brings its developers closer together by doing fun things. Recently, for example, teams of developers were given powerful circuit boards, and the simple instruction to build something cool. Jive’s “Army of Awesomeness” came back eight weeks later with clever gadgets like a NERF guided missile turret and an intelligent hydroponic terrarium. If the team can bring that level of creativity to a simple team building exercise, think of what they can do for you. We interviewed Jive’s VP of Product, Cameo Doran. Cameo has been the product manager of several software companies before her time at Jive. The Utah native has been with small startups and global companies, and has a reputation for inspiring the teams she works with to bring their skills to the next level. Cameo told us how Jive got started as a software company before offering VoIP. We asked her about what type of customers Jive hopes to attract. We asked what makes Jive unique. Find out why using Jive is one of the easiest customer experiences you can have in the industry. In this provider spotlight, we get a glimpse at what’s really happening inside Jive’s HQ. 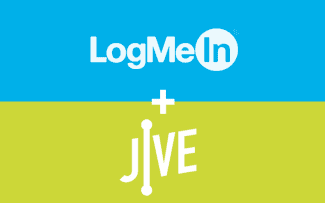 How did Jive get started? We started out as a small group of custom developers and a very successful custom dev shop and we couldn’t find anybody to provide us with a good phone system and so we built our own. We built it in the cloud and that was unheard of at that time, it worked really well for us. Our customers coming to us for software said ‘Hey, we need phone systems too’, and we started building it for them. We really broke into the cloud in a really organic way, and so all of our DNA is in providing VoIP in the cloud. We’ve been doing it since day one and it’s been amazingly successful for us. What’s something customers may not know about Jive as a company? Jive is amazingly customer orientated, it kind of drives everything that we do and so we care really deeply about the kind of experiences our customers are going to have. We try really hard to remove the barriers for people being able to do business with us, and for people being able to support themselves. One of the beauties of the cloud is that people can get up and running really easy and we try and support that in everything that we do. In which area of your company do you expect to see the most growth in the next 12-18 months? We’re really excited about a lot of the innovations that were working on inside of our product and we really think it’s going to drive a ton of growth in some of our most niche markets. We have a great presence inside of education, we have a great presence inside of government, and we’re really excited about the features and the functionalities that we’re able to provide those customers that nobody else has. Where exactly does Jive fit into the market right now, and what separates you from competitors? Our ease of use of our interfaces is really heads and shoulders above what anybody else has. Our user interfaces are really designed from the ground up to make it super simple for people to be able to manage their systems, and nobody else is doing that. When you compare our UI side by side to any of our competitors you’re going to find just a much better experience and just a lot easier system to use. Who would you say is Jive’s ideal customer? We really excited about the work that were doing for the enterprise, we’re building some really great features that are focused on the enterprise. But one of the things that’s really exciting is how can we gear those enterprise level features to the SMB and offer them to the SMB at the price point as the rest of our system. None of our competitors do that. Mostly if you want something extra, you’re going to have to pay extra and we want to offer our customers more and it’s just very exciting to think of offering enterprise functionalities to small businesses without charging them. How would you explain your customer experience model? Our customer experience model is based around the concept of removing obstacles. People have jobs that they are trying to do, and they need a software provider that gets out of their way, that’s a core tenant of our customer service model. From the minute a customer starts doing business with one of our sales people, we want to make it easy to do business with us. We want to make it easy to get setup on Jive. We want to make it easy to contact somebody if you have problems. We want to make it easy to pay bills and to make sure everything is working good, and that’s a core tenant for our customer service model is making our customers lives easy and removing the obstacles to doing business. Can you explain Jive’s pricing model for a five line phone system? Its very simple. $25 per line. 5 phones, that’s $125. You add some taxes on, and if you want to pay for some devices that can be a little more on top. But our average customer per 5 phones after taxes pays about $185/mo. Can you share a tidbit about your company culture. I think we have a great company culture. The color says there’s a lot of playfulness in our culture from the top down. The company took us all to Las Vegas for a company retreat, it was fun. We had an Elvis competition to choose the best Elvis in the company, I dressed up as Elvis. That’s the kind of thing that makes us a great place to work. I’m in development and we do these kinds of things all the time. Can you tell us about Jive’s most popular features? Without a doubt, our most popular feature is our visual dial plan editor. This is where I think we really have raised the bar in the industry on people managing their phone systems. It’s so easy to drag and drop and build your call flow. it’s one of the most complex parts in setting up a phone system in the cloud and we do it so much better than any of our competitors and it’s really what makes our system so easy to use. Is there anything else you’d like to add as a must-know about your company for potential customers? I think were on the forefront of continuing to build a really great system. We are working on so many exciting and innovative things that are really going to have a big impact in the industry. We are so customer focused. My team in particular so focused on trying to build, not just new things, but software that addresses the pain points that our customers have and just make people’s lives so much easier. Can you tell us a bit more about some of the stuff we can expect to see from Jive, feature-wise? The area that we believe that is most exciting is in the “Unified” part of Unified Communication. Chat application, video chat application. We’re very excited about how the technology that’s developing there, and how were going to be on the forefront of that. Get Your Price Quote from Jive Now!